The past few weeks we've been talking about pet sitting, specifically with Rover.com. And now, with the holidays rapidly approaching, there's no time to waste to find the right pet sitter! Rover.com makes it easy for you to search for a pet sitter in your area, but I suggest starting now if you're looking for a holiday sitter. You'll want to allow plenty of time to meet with several sitters in advance so you can find the right one for you. And, sitters book up early over the holidays, so don't delay! Here are a few more great tips from the folks at Rover.com. Last week, we also participated in an action-packed Twitter party with Rover! It was filled with great tips whether you want to be a pet sitter find a pet sitter. 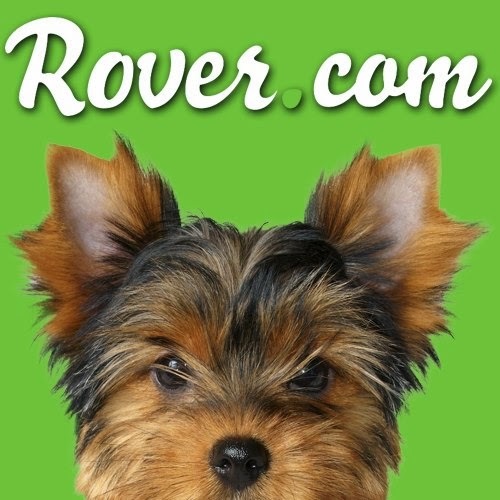 For more great info and some fun contests from Rover, be sure to check out their Rover Facebook page! Check out Rover.com and be sure to use coupon code TDWL25 to get $25 off your first visit! You can redeem the code here now and it will be there for you to use until the end of 2013! Want some more background on Rover.com? Check out our interview with a Rover.com pet-sitter and some more info on what you can find on Rover.com.